For the first time ever, the Korea Office of Taiwan Tourism Bureau raked in the prestigious award "the most outstanding national booth" in the just-concluded Tour Expo 2009 in Daegu, South Korea besting over other countries among 100 participants occupying 150 booths in this international event which was held April 2-5 at Daegu Exhibition Convention Center(EXCO Daegu, some 400 km south of Seoul when some other NTOs shunned the event citing budget restraints as a reason. Taiwan booth was in the limelight of the media coverage for its unique promotional activities focused on "wellness." Taiwan booth donned unique merchandising features, creative point-of-sale display, and attractive raffle promo and outstanding performances of traditional Taiwan cultural teams that lured throngs of Korean visitors. 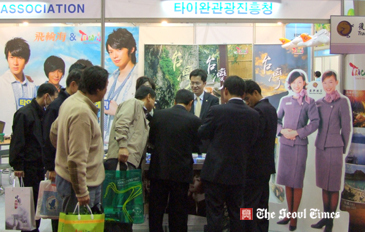 A wide variety of booklets introducing health, spar, cuisine and natural resources of Taiwan, in particular, were popular among wellness-conscious Korean visitors to the booth during the four-day event. By a rule of thumb, more than 8,000 visitors visited the Taiwan booth, making it the centerpiece of the Daegu Tour Expo 2009. 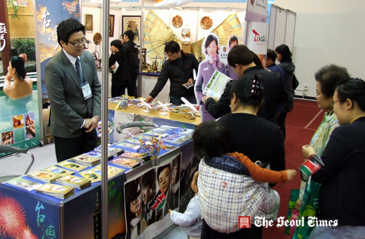 Defying the global business recession, Taiwan is determined to join actively major travel fairs including KOTFA to be held in Seoul and elsewhere in major cities in the countries to promote Taiwan on the occasion of "Visit Taiwan Year 2009." This year's wins also proved the wisdom in Taiwan's market-specific promotional strategy, which is based on the actual requirements and nuances of the Korean market, a market watcher said. Taiwan has been promoting its tourism in Korea localized marketing targeted at four major market segments – honeymooners, holidays seekers, and incentive and special interest groups. "The objective is to attain top-of-mind-recall for Taiwan brand in each of our priority markets, where we enjoy a distinct advantage that we can leverage to achieve maximum results amid the currently confusing brand clutter," a spokesman for Taiwan Tourism Bureau said. Among r tourism attractions of Taiwan include Mountain resort of Alishan, historic sites in Tainan, Lover River in Kaohsiung and Taroko Gorge, (and the) scenic East Coast. Many first-time visitors to Taiwan are surprised by how mountainous our island truly is. Taiwan is often perceived as a heavy industrialized country with crowded sights, but in fact most of its land consists of verdant hills and steep mountains with low population densities. The inaccessibility of many mountain areas combined with the warm climate of this mainly subtropical island also mean that conditions are ideal for a profusion of flora and fauna. For tourists, Taiwan's mountains present a bounty of options: Hiking, trekking, climbing, river-tracing, kayaking, nature exploration, and hot-spring bathing are all popular outdoor activities. Experienced hikers looking for new challenges find themselves in their element when following trails high up in the Central Mountain Range; and even the average tourist who likes to take it easy but is still curious about the mountainous wonder-world up there has a chance to get close to the highest peaks when following one of the cross-island highways. In this issue of Travel in Taiwan, you will find plenty of information on how to visit Taiwan's mountains.